Pick Two is the always changing, ever rearranging crossword game! Players draw letter tiles and build their own personal crosswords as fast as they can. 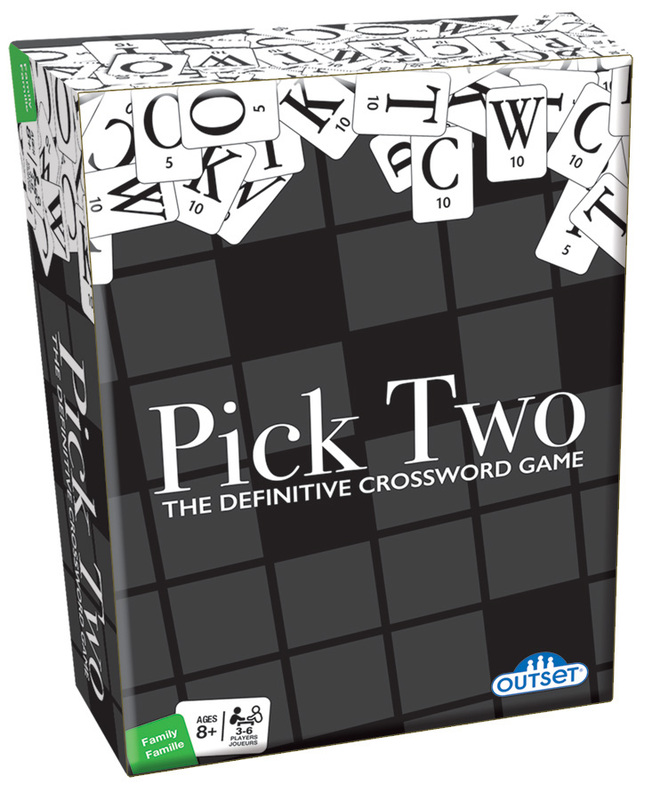 Whenever players use all their letters they yell “PICK TWO” and everyone draws two more tiles. The catch? These tiles must now be added to your crossword. The best part? You can always change your crossword by rearranging letters and even words to use up your tiles. Also available in a round tin! Case Pack 6 Width 6"